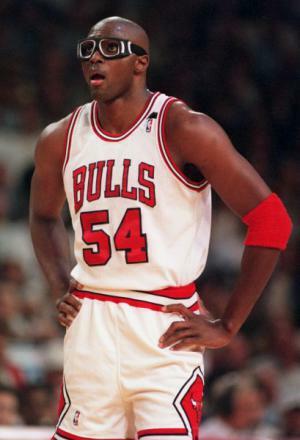 Horace Junior Grant was born on 4 July 1965, in Augusta, Georgia, USA. He is a retired basketball player, best known for being part of the National Basketball Association’s (NBA) Chicago Bulls and the Los Angeles Lakers. He won a total of four championship rings throughout his career and is recognizable to many NBA fans due to his iconic goggles. The success he had playing basketball professionally has boosted his net worth to where it is today. How rich is Horace Grant? As of early-2016, sources inform us of a net worth that is at $35 million, mostly earned through a successful career in the NBA. Before heading to the NBA, Horace played for Clemson University. Throughout his career, Grant has played for strong teams with some of the best players in the league. His talent and dedication to the game helped raise his wealth. After playing for Clemson University, Horace joined the 1987 NBA Draft and would then be drafted as the 10th overall pick by the Chicago Bulls. Grant, who could play the power forward or center position teamed up with Scottie Pippen who was drafted in the same year. During his starting years, Horace would become partner or back-up for defender Charles Oakley. During 1989, Oakley was traded to the New York Knicks and Grant moved to the starting line-up, playing with Michael Jordan and Scottie Pippen to make one of the strongest trios during that era of basketball. For Grant’s stellar defense, he was named to the NBA-All-Defensive-Team for four years in a row. During this time he would help the Chicago Bulls win the championship for three years straight from 1991 to 1993. The third championship would be pivotal for Horace as he performed a last-second block that secured their championship. After Michael Jordan’s retirement, Horace would become the number-two star in Chicago behind Pippen and even played in the 1994 All Star Game. After sporting his career best averages in points, rebounds and assists, he would leave the Bulls as a free agent and joined the Orlando Magic alongside Shaquille O’Neal and Penny Hardaway. Horace made the final basket in the conference finals against the Boston Celtics, but would lose the 1995 NBA Finals against the Houston Rockets. He spent a few more seasons with the Magic and was later traded to the Seattle Supersonics in 1999, where he played one season before being traded to the Los Angeles Lakers. The trade involved Glen Rice going to the Knicks and Patrick Ewing going to Seattle with Grant going to the Lakers. The defending champions the Lakers would win another championship in the 2000-01 season and Grant would be a part of that championship-winning team. After the championship run, Grant would return to the Magic, only to be cut in 2002, retiring shortly after the cut. He however returned in the 2003-04 season, playing for the Los Angeles Lakers as a backup to Karl Malone, but after their finals loss, Grant went back into retirement. In his personal life, Grant has three daughters and a son with his wife Andrea. He has one other daughter from a previous marriage with Donna(1988-94). He has two sons from a previous relationship. $35 Million 1.93 1965 1965-7-4 1994 NBA All-Star Game (1994) 30 for 30 (2009) 91.63 Actor American American retired basketball player Andrea Grant (m. 2003) Basketball Boston Celtics California Camarillo Cancer Chicago Chicago Bulls Clemson University Donna Grant (m. 1988–1994) Elijah Grant ESPN SportsCentury (1999) Eva Grant Gianna Grant Glen Rice Golden State Warriors Harvey Grant Horace Grant Net Worth Horace Jr. Grant Horace Junior Grant July 4 Kanye West Karl Malone Kim Kardashian Los Angeles Lakers Maia Grant Michael Jordan Naomi Grant National Basketball Association NBA Finals New York Knicks Orlando Magic Orlando Sentinel Patrick Ewing Scottie Pippen Space Jam (1996) Takao Nakano U.S.